If a man wishes to be worthy of the best that a woman has to offer, he must have the patience to feed her a pomegranate, one seed at a time. By working at a snail's pace, Kley learned how to make them race at breakneck speed. Thanks David, lovely post. 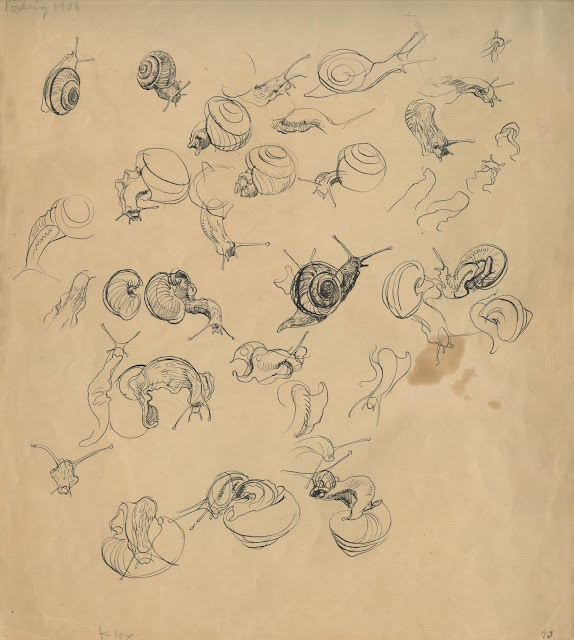 Mastery of Delacroix's admonition that an artist should be able to finish a drawing of a man falling from a building before he hits the ground would make the drawing a snail a crawl in the park. 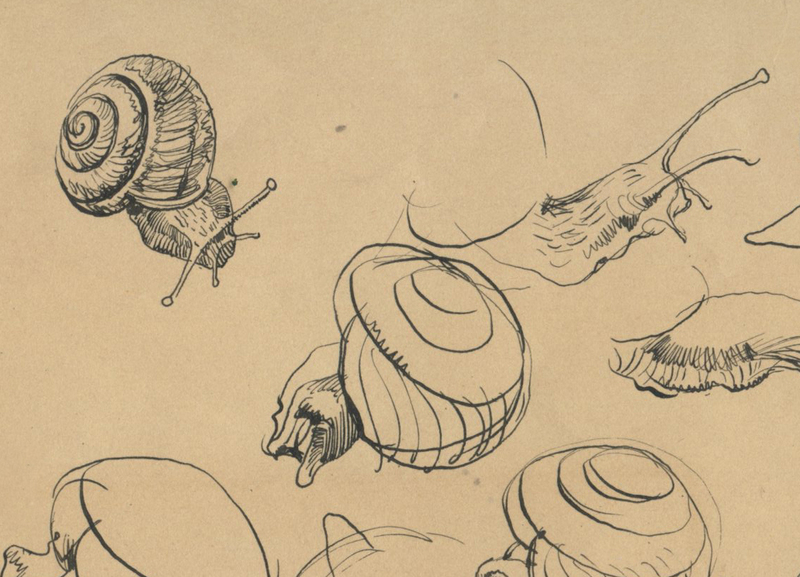 Who spends all that time drawing a snail? Beautiful. 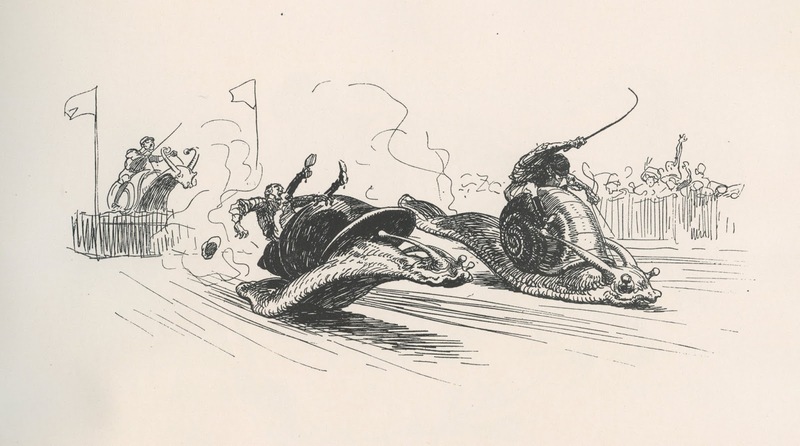 Kley has to be one of the all time greats, combining wonderful skill with a wild imagination. Fortunately I've got two of his books but PLEASE show us more. Concept Art done right ... hilarious! Absolutely lovely. His work looks so loose and off-the-cuff it's hard to imagine he took so much time to study his subject. Yet after seeing this it's hard to imagine his work without it. Thank you for this... when I suggested you write about him I didn't expect anything this soon! Chris Bennett-- I hadn't heard that line from Delacroix, but it sure focuses you on the essentials. 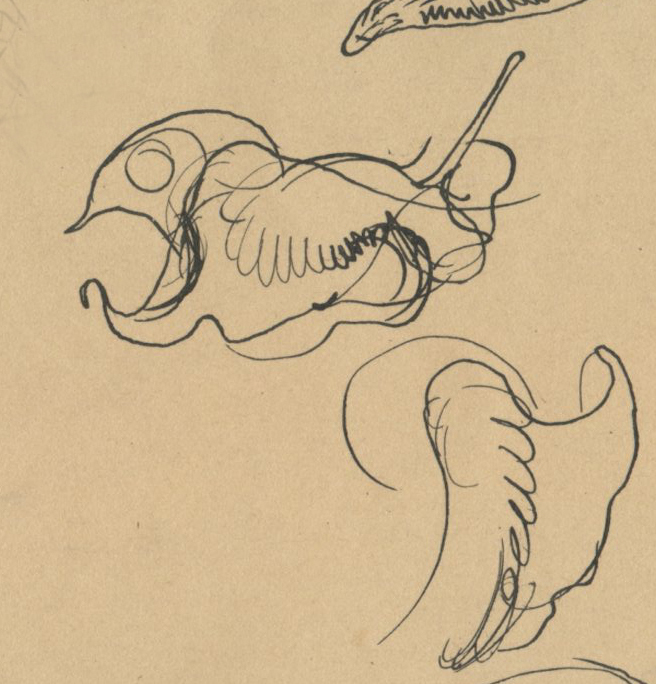 I'll have to look at Delacroix's sketches from a different perspective now. JSL-- Yes, I think it takes a lot of visual curiosity and observational power to invest so much in such a humble subject. 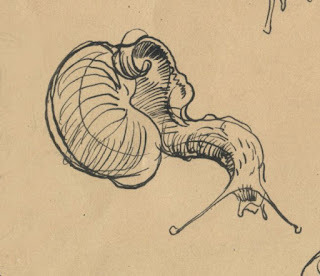 Can you imagine Kley watching a snail on his table top and recording its twists and movements with pen and ink? 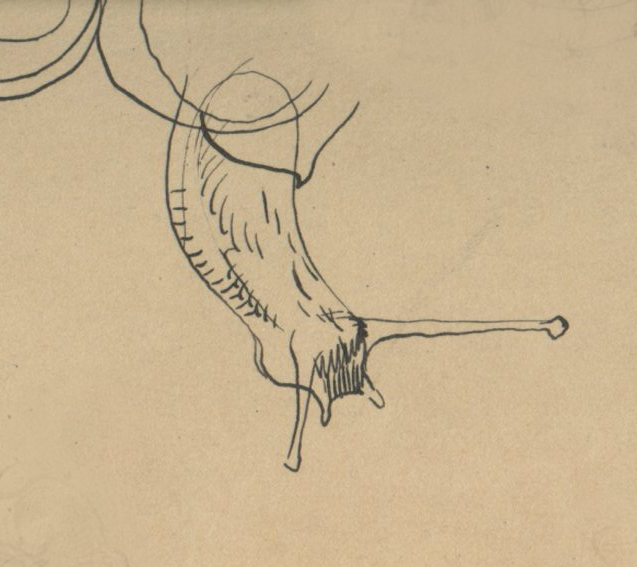 Looking at these sketches, I think his efforts paid off. I don't think I would have appreciated these variations if Kley hadn't shown them to us. Frank Furlong-- Do you have the two volumes from Joe Procopio's Lost Art books? A great series! I'm glad you like Kley, I'll put up more of his unpublished drawings and sketches shortly. Meera Rao-- Thanks so much! Donald Pittenger-- Yup, that's what I call a genuine concept! Benjamin De Schrijver-- I agree with you 100%, "absolutely lovely," and of a subject that is usually beneath our notice. Those sketches are loose and off the cuff, but boy are they perceptive. Thank you for suggesting Kley; the whole purpose of this blog is to remind people about talented, often neglected artists but I'm as guilty as anyone else of moving forward on automatic pilot and forgetting about some truly lovely work that I appreciated once and put in a drawer. One of the great things about Kley is that he rewards repeated and prolonged scrutiny. I'm not really a fan of snails, but I did enjoy this post! On the other hand, I do like pomegranates. I haven't eaten one for years though!